The modern Persian name of Iran (ایران) derives immediately from 3rd-century Sasanian Middle Persian ērān, where it initially meant "of the Iranians", but soon also acquired a geographical connotation in the sense of "(lands inhabited by) Iranians". In both geographic and demonymic senses, ērān is distinguished from its antonymic anērān, meaning "non-Iran(ian)". Ardashir I or Ardeshir I, also known as Ardashir the Unifier, was the founder of the Sasanian Empire. He was also Ardashir V of the dynasty of the Kings of Persis, until he founded the new empire. After defeating the last Parthian shahanshah Artabanus V on the Hormozdgan plain in 224, he overthrew the Parthian dynasty and established the Sasanian dynasty. Afterwards, Ardashir called himself "shahanshah" and began conquering the land that he called Iran. Artabanus IV, also known as Ardavan IV, incorrectly known in older scholarship as Artabanus V, was the last ruler of Parthian Empire from c. 213 to 224. He was the younger son of Vologases V, who died in 208. The Islamization of Iran occurred as a result of the Muslim conquest of Persia. It was a long process by which Islam, though long rejected, was gradually accepted by the majority of the population. On the other hand, Iranians have maintained certain pre-Islamic traditions, including their language and culture, and adapted them with Islamic codes. Finally these two customs and traditions merged as the "Iranian Islamic" identity. Conflicting accounts shroud the details of the fall of the Parthian Empire and subsequent rise of the Sassanian Empire in mystery. The Sassanian Empire was established in Estakhr by Ardashir I. The Parthian Empire, also known as the Arsacid Empire, was a major Iranian political and cultural power in ancient Iran. 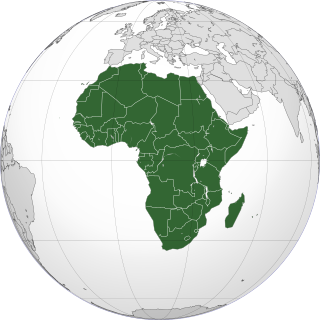 Its latter name comes from Arsaces I of Parthia who, as leader of the Parni tribe, founded it in the mid-3rd century BC when he conquered the region of Parthia in Iran's northeast, then a satrapy (province) under Andragoras, in rebellion against the Seleucid Empire. Mithridates I of Parthia (r. c. 171–138 BC) greatly expanded the empire by seizing Media and Mesopotamia from the Seleucids. At its height, the Parthian Empire stretched from the northern reaches of the Euphrates, in what is now central-eastern Turkey, to eastern Iran. 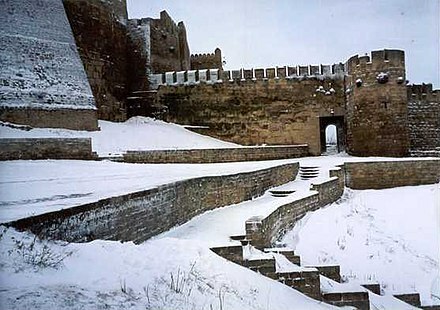 The empire, located on the Silk Road trade route between the Roman Empire in the Mediterranean Basin and the Han dynasty of China, became a center of trade and commerce. Papak or Papag, was a Persian prince and is considered the ancestor of the Sasanians. Gochihr was a Persian dynast from the Bazrangid dynasty, who ruled Istakhr in the early 3rd-century. He was killed in 205/6 by the Persian prince Papak at the urging of his son Ardashir I, who would later establish the Sasanian Empire. Ardashir-Khwarrah was one of the four administrative divisions of the Sasanian province of Pars. The other administrative divisions were Shapur-Khwarrah, Istakhr and Darabgerd, while a fifth named Arrajan was founded in the early 6th century by Kavadh I.
Firuzabad is a city and capital of Firuzabad County, Fars Province, Iran. At the 2006 census, its population was 58,210, in 12,888 families. 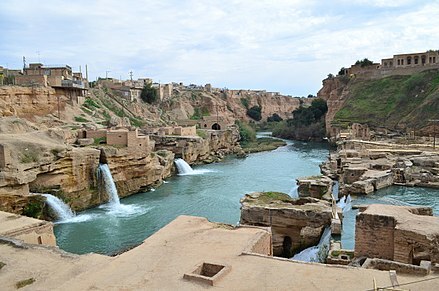 Firuzabad is located south of Shiraz. The city is surrounded by a mud wall and ditch. Ardashir I's son Shapur I continued the expansion of the empire, conquering Bactria and the western portion of the Kushan Empire, while leading several campaigns against Rome. Invading Roman Mesopotamia, Shapur I captured Carrhae and Nisibis, but in 243 the Roman general Timesitheus defeated the Persians at Rhesaina and regained the lost territories. The emperor Gordian III's (238–244) subsequent advance down the Euphrates was defeated at Meshike (244), leading to Gordian's murder by his own troops and enabling Shapur to conclude a highly advantageous peace treaty with the new emperor Philip the Arab, by which he secured the immediate payment of 500,000 denarii and further annual payments. During the second encounter, Roman forces seized Narseh's camp, his treasury, his harem, and his wife. Galerius advanced into Media and Adiabene, winning successive victories, most prominently near Erzurum, and securing Nisibis (Nusaybin, Turkey) before October 1, 298. He then advanced down the Tigris, taking Ctesiphon. Narseh had previously sent an ambassador to Galerius to plead for the return of his wives and children. Peace negotiations began in the spring of 299, with both Diocletian and Galerius presiding. The Sassanids ceded five provinces west of the Tigris, and agreed not to interfere in the affairs of Armenia and Georgia. In the aftermath of this defeat, Narseh gave up the throne and died a year later, leaving the Sassanid throne to his son, Hormizd II. Unrest spread throughout the land, and while the new king suppressed revolts in Sakastan and Kushan, he was unable to control the nobles and was subsequently killed by Bedouins on a hunting trip in 309. Following Hormizd II's death, northern Arabs started to ravage and plunder the western cities of the empire, even attacking the province of Fars, the birthplace of the Sassanid kings. Meanwhile, Persian nobles killed Hormizd II's eldest son, blinded the second, and imprisoned the third (who later escaped into Roman territory). The throne was reserved for Shapur II, the unborn child of one of Hormizd II's wives who was crowned in utero: the crown was placed upon his mother's stomach. During his youth the empire was controlled by his mother and the nobles. Upon his coming of age, Shapur II assumed power and quickly proved to be an active and effective ruler. He first led his small but disciplined army south against the Arabs, whom he defeated, securing the southern areas of the empire. He then began his first campaign against the Romans in the west, where Persian forces won a series of battles but were unable to make territorial gains due to the failure of repeated sieges of the key frontier city of Nisibis, and Roman success in retaking the cities of Singara and Amida after they had previously fallen to the Persians. These campaigns were halted by nomadic raids along the eastern borders of the empire, which threatened Transoxiana, a strategically critical area for control of the Silk Road. Shapur therefore marched east toward Transoxiana to meet the eastern nomads, leaving his local commanders to mount nuisance raids on the Romans. He crushed the Central Asian tribes, and annexed the area as a new province. In the east around 325, Shapur II regained the upper hand against the Kushano-Sasanian Kingdom and took control of large territories in areas now known as Afghanistan and Pakistan. 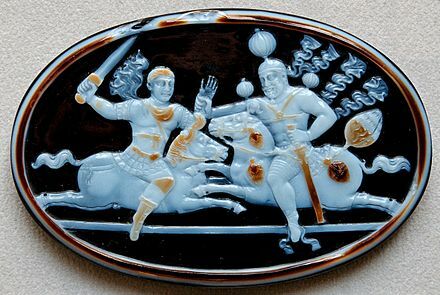 Cultural expansion followed this victory, and Sassanid art penetrated Turkestan, reaching as far as China. Shapur, along with the nomad King Grumbates, started his second campaign against the Romans in 359 and soon succeeded in retaking Singara and Amida. In response the Roman emperor Julian struck deep into Persian territory and defeated Shapur's forces at Ctesiphon. He failed to take the capital, however, and was killed while trying to retreat to Roman territory. His successor Jovian, trapped on the east bank of the Tigris, had to hand over all the provinces the Persians had ceded to Rome in 298, as well as Nisibis and Singara, to secure safe passage for his army out of Persia. Bahram V's son Yazdegerd II (438–457) was in some ways a moderate ruler, but, in contrast to Yazdegerd I, he practised a harsh policy towards minority religions, particularly Christianity. 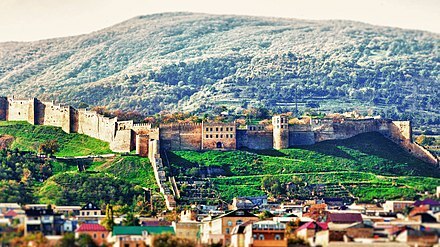 However, at the Battle of Avarayr in 451, the Armenian subjects led by Vardan Mamikonian reaffirmed Armenia's right to profess Christianity freely. This was to be later confirmed by the Nvarsak Treaty (484). During his eastern campaign, Yazdegerd II grew suspicious of the Christians in the army and expelled them all from the governing body and army. He then persecuted the Christians in his land, and, to a much lesser extent, the Jews. In order to reestablish Zoroastrianism in Armenia, he crushed an uprising of Armenian Christians at the Battle of Vartanantz in 451. The Armenians, however, remained primarily Christian. In his later years, he was engaged yet again with the Kidarites right up until his death in 457. Hormizd III (457–459), the younger son of Yazdegerd II, then ascended to the throne. During his short rule, he continually fought with his elder brother Peroz I, who had the support of the nobility,  and with the Hephthalites in Bactria. He was killed by his brother Peroz in 459. In 527, a Roman offensive against Nisibis was repulsed and Roman efforts to fortify positions near the frontier were thwarted. In 530, Kavadh sent an army under Perozes to attack the important Roman frontier city of Dara. The army was met by the Roman general Belisarius, and, though superior in numbers, was defeated at the Battle of Dara. In the same year, a second Persian army under Mihr-Mihroe was defeated at Satala by Roman forces under Sittas and Dorotheus, but in 531 a Persian army accompanied by a Lakhmid contingent under Al-Mundhir III defeated Belisarius at the Battle of Callinicum, and in 532 an "eternal" peace was concluded. Although he could not free himself from the yoke of the Hephthalites, Kavadh succeeded in restoring order in the interior and fought with general success against the Eastern Romans, founded several cities, some of which were named after him, and began to regulate taxation and internal administration. Emperor Justinian I (527–565) paid Khosrau I 440,000 pieces of gold as a part of the "eternal peace" treaty of 532. In 540, Khosrau broke the treaty and invaded Syria, sacking Antioch and extorting large sums of money from a number of other cities. Further successes followed: in 541 Lazica defected to the Persian side, and in 542 a major Byzantine offensive in Armenia was defeated at Anglon. Also in 541, Khosrau I entered Lazica at the invitation of its king, captured the main Byzantine stronghold at Petra, and established another protectorate over the country,  commencing the Lazic War. A five-year truce agreed to in 545 was interrupted in 547 when Lazica again switched sides and eventually expelled its Persian garrison with Byzantine help; the war resumed but remained confined to Lazica, which was retained by the Byzantines when peace was concluded in 562. Khosrau I's reign witnessed the rise of the dihqans (literally, village lords), the petty landholding nobility who were the backbone of later Sassanid provincial administration and the tax collection system. Khosrau I was a great builder, embellishing his capital and founding new towns with the construction of new buildings. He rebuilt the canals and restocked the farms destroyed in the wars. He built strong fortifications at the passes and placed subject tribes in carefully chosen towns on the frontiers to act as guardians against invaders. He was tolerant of all religions, though he decreed that Zoroastrianism should be the official state religion, and was not unduly disturbed when one of his sons became a Christian. The abrupt fall of the Sassanid Empire was completed in a period of just five years, and most of its territory was absorbed into the Islamic caliphate; however, many Iranian cities resisted and fought against the invaders several times. Islamic caliphates repeatedly suppressed revolts in cities such as Rey, Isfahan, and Hamadan. The local population was initially under little pressure to convert to Islam, remaining as dhimmi subjects of the Muslim state and paying a jizya. The jizya practically replaced the poll taxes imposed by the Sassanids. In addition, the old Sassanid "land tax" (known in Arabic as Kharaj) was also adopted. Caliph Umar is said to have occasionally set up a commission to survey the taxes, to judge if they were more than the land could bear. Conversion of the Persian population to Islam would take place gradually, particularly as Persian-speaking elites attempted to gain positions of prestige much later under the Abbasid Caliphate. 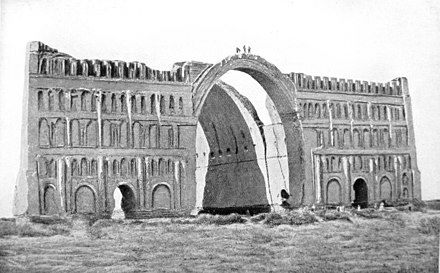 The Sassanids established an empire roughly within the frontiers achieved by the Parthian Arsacids, with the capital at Ctesiphon in the Asoristan province. In administering this empire, Sassanid rulers took the title of shahanshah (King of Kings), becoming the central overlords and also assumed guardianship of the sacred fire, the symbol of the national religion. 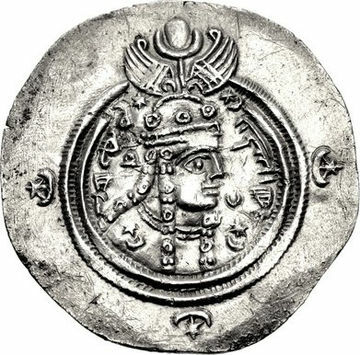 This symbol is explicit on Sassanid coins where the reigning monarch, with his crown and regalia of office, appears on the obverse, backed by the sacred fire, the symbol of the national religion, on the coin's reverse. Sassanid queens had the title of Banbishnan banbishn (Queen of Queens). The cavalry used during the Sassanid Empire were two types of heavy cavalry units: Clibanarii and Cataphracts. The first cavalry force, composed of elite noblemen trained since youth for military service, was supported by light cavalry, infantry and archers. Mercenaries and tribal people of the empire, including the Turks, Kushans, Sarmatians, Khazars, Georgians, and Armenians were included in these first cavalry units. The second cavalry involved the use of the war elephants. In fact, it was their specialty to deploy elephants as cavalry support. 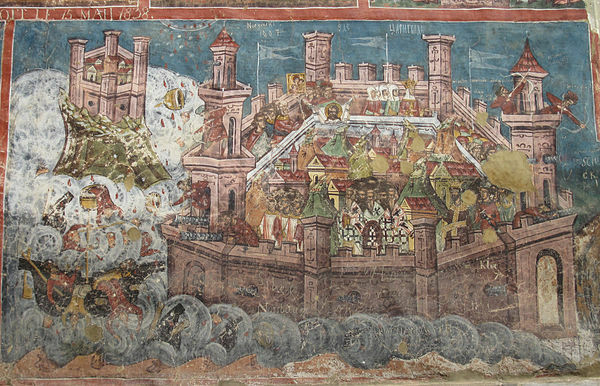 The last of the many and frequent wars with the Byzantines, the climactic Byzantine–Sasanian War of 602–628, which included the siege of the Byzantine capital Constantinople, ended with both rivalling sides having drastically exhausted their human and material resources. Furthermore, social conflict within the Empire had considerably weakened it further. Consequently, they were vulnerable to the sudden emergence of the Islamic Rashidun Caliphate, whose forces invaded both empires only a few years after the war. The Muslim forces swiftly conquered the entire Sasanian Empire and in the Byzantine–Arab Wars deprived the Byzantine Empire of its territories in the Levant, the Caucasus, Egypt, and North Africa. Over the following centuries, half the Byzantine Empire and the entire Sasanian Empire came under Muslim rule. Following the conquest of Iran and neighboring regions, Shapur I extended his authority northwest of the Indian subcontinent (Pakistan and Afghanistan). The previously autonomous Kushans were obliged to accept his suzerainty. These were the western Kushans which controlled Afghanistan  while the eastern Kushans were active in India. Although the Kushan empire declined at the end of the 3rd century, to be replaced by the Indian Gupta Empire in the 4th century, it is clear that the Sassanids remained relevant in India's northwest throughout this period. 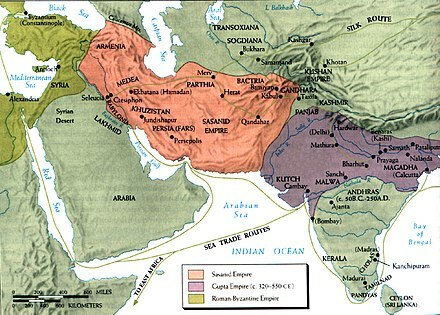 Lower-level cultural interchanges also took place between India and Persia during this period. For example, Persians imported the early form of chess, the chaturanga (Middle Persian: chatrang ) from India. In exchange, Persians introduced backgammon (Nēw-Ardašēr) to India. Sassanid Zoroastrianism would develop to have clear distinctions from the practices laid out in the Avesta, the holy books of Zoroastrianism. It is often argued that the Sassanid Zoroastrian clergy later modified the religion in a way to serve themselves, causing substantial religious uneasiness. [ specify ] Sassanid religious policies contributed to the flourishing of numerous religious reform movements, most importantly the Mani and Mazdak religions. Reflecting the regional rivalry and bias the Sassanids are believed to have held against their Parthian predecessors, it was probably during the Sassanid era that the two great fires in Pars and Media—the Adur Farnbag and Adur Gushnasp respectively—were promoted to rival, and even eclipse, the sacred fire in Parthia, the Adur Burzen-Mehr . The Adur Burzen-Mehr, linked (in legend) with Zoroaster and Vishtaspa (the first Zoroastrian King), was too holy for the Persian magi to end veneration of it completely. Some scholars of Zoroastrianism such as Mary Boyce have speculated that it is possible that the yasna service was lengthened during the Sassanid era 'to increase its impressiveness'. This appears to have been done by joining the Gathic Staota Yesnya with the haoma ceremony. Furthermore, it is believed that another longer service developed, known as the Visperad , which derived from the extended yasna. This was developed for the celebration of the seven holy days of obligation (the Gahambars plus Nowruz ) and was dedicated to Ahura Mazda . 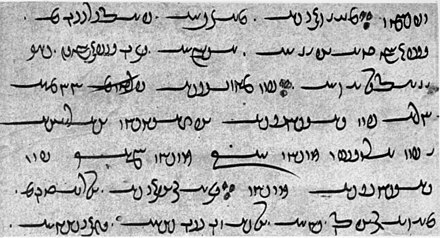 As a result of this development, the Sasanian Avesta was then compiled into 21 nasks (divisions) to correspond with the 21 words of the Ahunavar invocation. The nasks were further divided into three groups of seven. The first group contained the Gathas and all texts associated with them, while the second group contained works of scholastic learning. The final section contained treatises of instruction for the magi, such as the Vendidad , law-texts and other works, such as yashts . Some of the recent excavations have discovered the Buddhist, Hindu and Jewish religious sites in the empire. Buddhism and Hinduism were competitors of Zoroastrianism in Bactria and Margiana,  in the far easternmost territories. A very large Jewish community flourished under Sasanian rule, with thriving centers at Isfahan, Babylon and Khorasan, and with its own semiautonomous Exilarchate leadership based in Mesopotamia. Jewish communities suffered only occasional persecution. They enjoyed a relative freedom of religion, and were granted privileges denied to other religious minorities. Shapur I (Shabur Malka in Aramaic) was a particular friend to the Jews. His friendship with Shmuel produced many advantages for the Jewish community. He even offered the Jews in the Sasanian empire a fine white Nisaean horse, just in case the Messiah, who was thought to ride a donkey or a mule, would come. Shapur II, whose mother was Jewish, had a similar friendship with a Babylonian rabbi named Rabbah. Raba's friendship with Shapur II enabled him to secure a relaxation of the oppressive laws enacted against the Jews in the Persian Empire. Moreover, in the eastern portion of the empire, various Buddhist places of worship, notably in Bamiyan, were active as Buddhism gradually became more popular in that region. During the early Sasanian period, Middle Persian along with Greek and Parthian appeared in the inscriptions of the early Sasanian kings. However, by the time Narseh (r. 293–302) was ruling, Greek was no longer in use, perhaps due to the disappearance of Greek or the efforts of the anti-Hellenic Zoroastrian clergy to remove it once and for all. This was probably also because Greek was commonplace among the Romans/Byzantines, the rivals of the Sasanians. 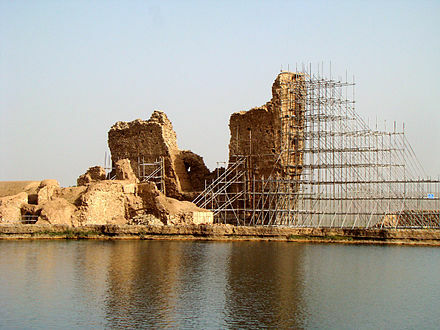 Parthian soon disappeared as an administrative language too, but was continued to be spoken and written in the eastern part of the Sasanian Empire, the homeland of the Parthians. 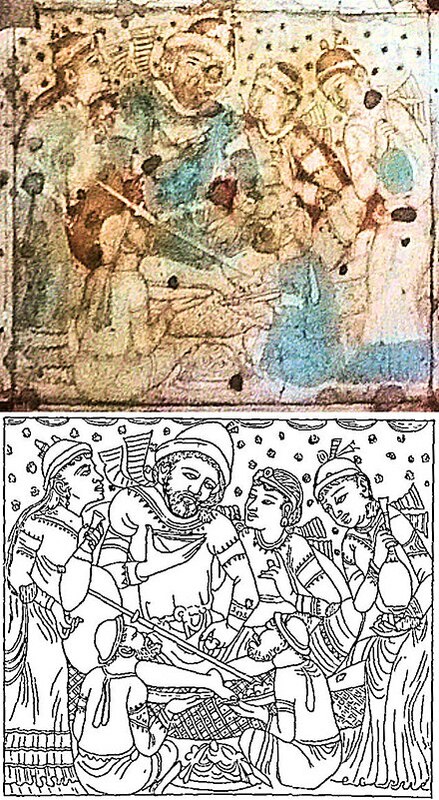 Furthermore, many of the Parthian aristocrats who had entered into Sasanian service after the fall of the Parthian Empire still spoke Parthian, such as the seven Parthian clans, who possessed much power within the empire. Sometimes one of the members of the clans would even protest against Sasanian rule. 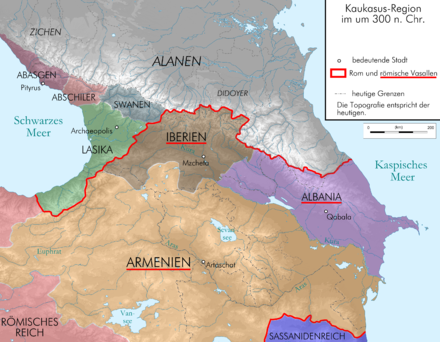 In the Sasanian territories in the Caucasus, numerous languages were sproken including Georgian, various Kartvelian languages (notably in Lazica), Middle Persian,  Armenian, Caucasian Albanian, Scythian, Greek, and others. In Khuzestan, several languages were spoken; Persian in the north and east, while Aramaic was spoken in the rest of the place. Furthermore, Neo-Elamite was also spoken in the province. In Meshan, the Arameans, along with settled Arabs (known as Mesenian Arabs), and the nomadic Arabs, formed the Semitic population of the province along with Nabataean and Palmyrene merchants. 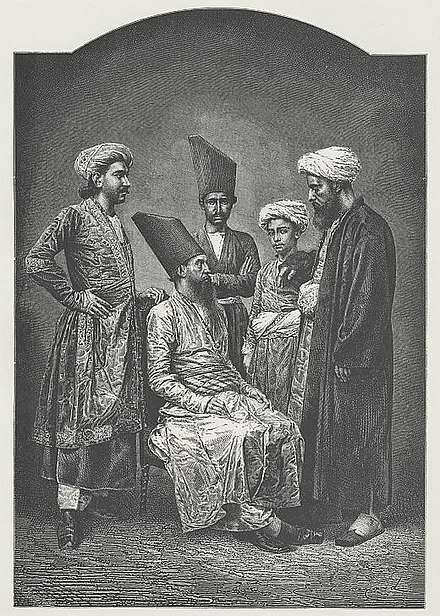 Iranians had also begun to settle in the province, along with the Zutt, who had been deported from India. Other Indian groups such as the Malays may also have been deported to Meshan, either as captives or recruited sailors. In Asoristan the majority of the people were Aramaic-speaking Nestorian Christians while the Persians, Jews and Arabs formed a minority in the province. Due to invasions from the Scythians and their sub-group, the Alans, into Azerbaijan, Armenia, and other places in the Caucasus, the places gained a larger, although small, Iranian population. Parthian, along with other Iranian dialects and languages was spoken in Khorasan, while to the further east in places which were not always controlled by the Sasanians, Sogdian, Bactrian and Khwarazmian was spoken. 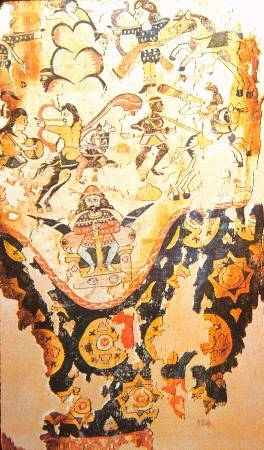 To the further south in Sistan, which saw an influx of Scythians during the Parthian period, Sistani was spoken. Kirman was populated by an Iranian group which closely resembled the Persians, while, farther to the east in Paratan, Turan and Makran, Balochi and non-Iranian languages were spoken. In major cities such as Gundeshapur and Ctesiphon, Latin, Greek and Syriac were spoken by Roman/Byzantine prisoners of war. Furthermore, Slavic and Germanic were also spoken in the Sasanian Empire, once again due to the capture of Roman soldiers. Semitic languages including Himyaritic and Sabaean were spoken in Yemen. 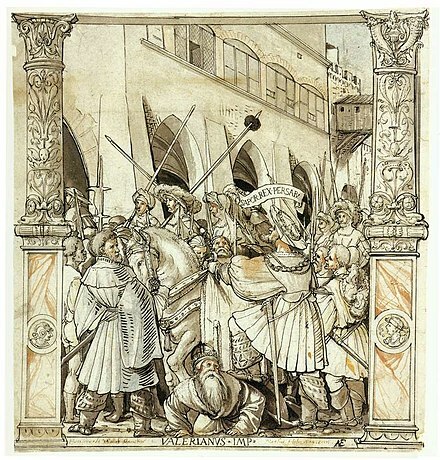 502–506: War with the Byzantine Empire. In the end the Byzantine Empire pays 1,000 pounds of gold to the Sasanian Empire  The Sasanians capture Theodosiopolis and Martyropolis. Hormizd-Ardashir, better known by his dynastic name of Hormizd I, was the third shahanshah of the Sasanian Empire from May 270 to June 271. He was the youngest son of Shapur I (240–270/72), under whom he was governor of Armenia, and appears in his wars against Rome. Yazdegerd II, was the sixteenth Sasanian king (shah) of Iran. He was the successor and son of Bahram V (420–438) and reigned from 438 to 457. His reign was marked by wars against the Byzantine Empire in the west and the Hephthalite Empire in the east, as well as by his efforts and attempts to impose Zoroastrianism on the largest religious minority within the empire, namely the Christians. Yazdegerd I was the twelfth king (shah) of the Sasanian Empire, ruling from 399 to 420. He was the son of Shapur III (383–388). He succeeded to the Sasanian throne on the assassination of his brother Bahram IV in 399 and ruled for twenty-one years till his death in 420. Shapur I, also known as Shapur the Great, was the second shahanshah of the Sasanian Empire. The dates of his reign are commonly given as 240/42 – 270, but it is likely that he also reigned as co-regent prior to his father's death in 242. 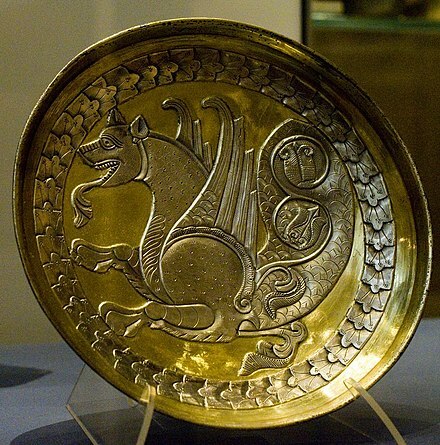 The Sasanian era is one of the most influential periods in Iran's history. 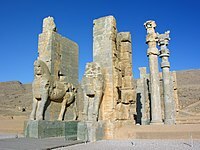 It also marks the third rise of a great Iranian empire, a dynasty that rivaled its predecessor, the Achaemenids, who too, like the Sassanids, were native to the province of Pars, and in some instances the Parthians, in glory and power. Although it fought many campaigns against the Romans/Byzantines in the west and the nomadic people in the east and north, the Sasanian Empire met its demise not by the Byzantine-Roman Empire, but by emerging Arab Muslims from across its southern borders. However, the conflict with the Byzantines greatly contributed to its weakness, by draining Sassanid resources, leaving it a prime target for the Muslims. Rostam Farrokhzād was an Iranian nobleman from the Ispahbudhan family, who served as the spahbed of Adurbadagan and Khorasan during the reign of Boran and Yazdegerd III. Rostam is remembered as a historical figure, a character in the Persian epic poem Shahnameh, and as a touchstone of most Iranian nationalists. Relations between the Rome and Iranian states were established c. 96 BC. It was in 69 AD that the two states clashed for the first time; the political rivalry between the two empires would dominate all of Western Asia and Europe until 628. Initially commencing as rivalry between the Parthians and Rome, from the 3rd to mid-7th centuries, the Byzantine Empire and its rival Sassanid Persia were recognized as the leading powers in the world. Sakastan was a Sasanian province in Late Antiquity, that lay within the kust of Nemroz. The province bordered Kirman in the west, Spahan in the north west, Kushanshahr in the north east, and Turan in the south east. The governor of the province held the title of marzban. The governor also held the title of "Sakanshah" until the title was abolished in ca. 459/60. Sasanian Armenia, also known as Persian Armenia and Persarmenia, may either refer to the periods where Armenia was under the suzerainty of the Sasanian Empire, or specifically to the parts of Armenia under its control such as after the partition of 387 AD when parts of western Armenia were incorporated into the Byzantine Empire while the rest of Armenia came under Sasanian suzerainty whilst maintaining its existing kingdom until 428. 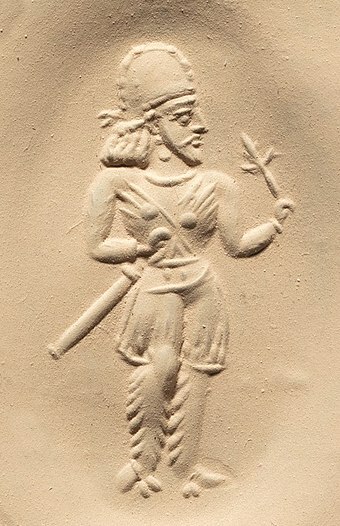 Azarmidokht was queen (banbishn) of the Sasanian Empire from to 630 to 631. She was the daughter of shah Khosrow II. She was the second Sasanian queen; her sister Boran ruled before and after Azarmidokht. Azarmidokht ruled the Sasanian Empire after her cousin Shapur-i Shahrvaraz was deposed. Hormuzan was an Iranian aristocrat who served as the governor of Khuzestan, and was one of the Sasanian military officers at the Battle of al-Qādisiyyah. He was later taken prisoner by the Muslims after the fall of Shushtar in 642. Two years later, he was accused of the assassination of the Rashidun caliph Umar, and was killed by 'Ubaid-Allah, the deceased caliph's son. Farrukhzad, was an Iranian aristocrat from the House of Ispahbudhan and the founder of the Bavand dynasty, ruling from 651 to 665. Originally a powerful servant of the Sasanian king Khosrow II, he, along with several other powerful aristocrats made a conspiracy against the latter and ended his tyrannical rule. They thereafter put Khosrow's son Kavadh II on the throne, whose rule lasted only a few months, before he was killed by a plague, being succeeded by his son Ardashir III, who was only after one year murdered by the rebellious former Sasanian army chief (spahbed) Shahrbaraz, who usurped the throne. Adurbadagan in Middle Persian and Parthian, Atropatene in Greek, and Atrpatakan in Armenian, was a Sasanian province in northern Iran which almost corresponded to the present day Iranian Azerbaijan. 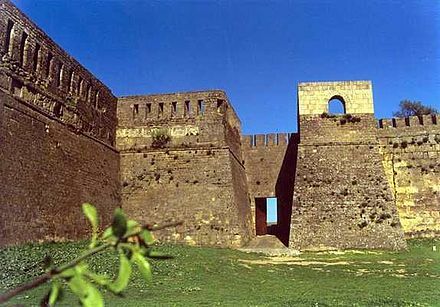 The capital of the province was Ganzak. Farrukh Hormizd or Farrokh Hormizd, also known as Hormizd V, was a spahbed in northern Persia, he was a prince of Atropatene. He later came in conflict with the Sassanid nobles, "dividing the resources of the country". He was later killed by Siyavakhsh in a palace plot on the orders of Azarmidokht after he proposed to her in an attempt to usurp the Sasanian throne. He had two children, Rostam Farrokhzād and Farrukhzad. The Sasanian civil of 628–632, also known as the Sasanian Interregnum was a conflict that broke out after the execution of the Sasanian king Khosrau II between the Sasanian nobles of different factions, notably the Parthian faction, the Persian (Parsig) faction, the Nimruzi faction, and the faction of general Shahrbaraz. Rapid turnover of rulers and increasing provincial landholder power further diminished the empire. Over a period of fourteen years and thirteen successive kings, the Sasanian Empire weakened considerably, and the power of the central authority passed into the hands of its generals, contributing to its fall. Shapur IV, was king of Persian Armenia from 415 to 420, who briefly ruled the Sasanian Empire in 420. 1 2 3 4 Daryaee 2008, pp. 99-100. 1 2 Chyet, Michael L. (1997). Afsaruddin, Asma; Krotkoff, Georg; Zahniser, A. H. Mathias, eds. Humanism, Culture, and Language in the Near East: Studies in Honor of Georg Krotkoff. Eisenbrauns. p. 284. ISBN 978-1-57506-020-0. In the Middle Persian period (Parthian and Sasanian Empires), Aramaic was the medium of everyday writing, and it provided scripts for writing Middle Persian, Parthian, Sogdian, and Khwarezmian. ↑ First Encyclopaedia of Islam: 1913-1936. Brill. 1993. p. 179. ↑ Turchin, Peter; Adams, Jonathan M.; Hall, Thomas D (December 2006). "East-West Orientation of Historical Empires". Journal of World-Systems Research. 12 (2): 223. ISSN 1076-156X . Retrieved 11 September 2016. ↑ Taagepera, Rein (1979). "Size and Duration of Empires: Growth-Decline Curves, 600 B.C. to 600 A.D.". Social Science History. 3 (3/4). p. 122. doi:10.2307/1170959. JSTOR 1170959. ↑ Fattah, Hala Mundhir (2009). 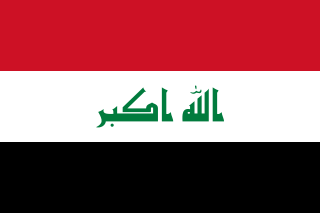 A Brief History Of Iraq. Infobase Publishing. p. 49. ISBN 978-0-8160-5767-2. 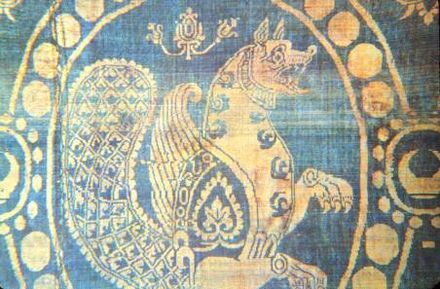 Historians have also referred to the Sassanian Empire as the Neo-Persian Empire. ↑ "A Brief History". Culture of Iran. Archived from the original on 21 November 2001. Retrieved 11 September 2009. ↑ Will Durant, Age of Faith, (Simon and Schuster, 1950), 150; Repaying its debt, Sasanian art exported it forms and motives eastward into India, Turkestan, and China, westward into Syria, Asia Minor, Constantinople, the Balkans, Egypt, and Spain..
↑ "Transoxiana 04: Sasanians in Africa". Transoxiana.com.ar. Retrieved 2013-12-16. 1 2 "Iransaga: The art of Sassanians". Artarena.force9.co.uk. Retrieved 2013-12-16. ↑ CNG: KINGS of PERSIS. Artaxerxes (Ardaxsir) V. Circa 209-224 AD. AR Drachm (3.02 gm). 1 2 Barnes, Constantine and Eusebius, p. 18; Potter, The Roman Empire at Bay, p. 293. ↑ Michael H. Dodgeon; Samuel N. C. Lieu (1991). Galienus conquests:Google Book on Roman Eastern Frontier (part 1). Routledge. Retrieved 2013-12-16. ↑ Braarvig, Jens (2000). Buddhist Manuscripts (Vol.3 ed.). Hermes Pub. p. 257. ISBN 9788280340061. 1 2 Tandon, Pankaj (2013). "Notes on the Evolution of Alchon Coins" (PDF). Journal of the Oriental Numismatic Society (216): 24–34. Retrieved 2018-07-08. ↑ Neelis, Jason (2010). Early Buddhist Transmission and Trade Networks: Mobility and Exchange Within and Beyond the Northwestern Borderlands of South Asia. BRILL. p. 159. ISBN 9004181598. ↑ Rienjang, Wannaporn; Stewart, Peter (2018). Problems of Chronology in Gandhāran Art: Proceedings of the First International Workshop of the Gandhāra Connections Project, University of Oxford, 23rd-24th March, 2017. Archaeopress. p. 23. ISBN 9781784918552. ↑ "History of Iran, Chapter V:Sassanians". Archived from the original on 15 July 2009. Retrieved 2009-09-17. ↑ Hewsen, Robert H. (August 17, 2011). "AVARAYR". Encyclopædia Iranica . So spirited was the Armenian defense, however, that the Persians suffered enormous losses as well. Their victory was pyrrhic and the king, faced with troubles elsewhere, was forced, at least for the time being, to allow the Armenians to worship as they chose. 1 2 Khodadad Rezakhani. "Iranologie History of Iran Chapter V: Sasanians". Iranologie.com. Archived from the original on 6 February 2014. Retrieved 2013-12-16. 1 2 3 "Richard Frye "The History of Ancient Iran"". Fordham.edu. Retrieved 2013-12-16. ↑ Dr Richard Frye. "Iran Chamber Society: History of Iran: The Reforms of Khosrow Anushirvan (The Immortal Soul)". www.iranchamber.com. ↑ Martindale, Jones & Morris 1992 , pp. 559, 639; Bury 1958 , pp. 101–102. 1 2 3 4 5 6 "Iran Chamber Society: The Sassanid Empire, 224–642 AD". Iranchamber.com. Retrieved 2013-12-16. ↑ The Caliphs and Their Non-Muslim Subjects. A. S. Tritton, pg.139. ↑ "DABUYIDS". Encyclopaedia Iranica. Retrieved 2013-12-16. ↑ "BADUSPANIDS". Encyclopaedia Iranica. Retrieved 2013-12-16. ↑ Stokvis A.M.H.J., pp. 112, 129. ↑ Guitty Azarpay "The Near East in Late Antiquity The Sasanian Empire"
↑ Daryaee 2008, p. 125. 1 2 3 4 5 6 Durant. ↑ Daryaee, Touraj (2009). Sasanian Persia: The Rise and Fall of an Empire. New York NY: I.B. Tauris & Co Ltd. pp. 45–51. 1 2 Kaveh Farrokh; Angus McBride (July 13, 2005). 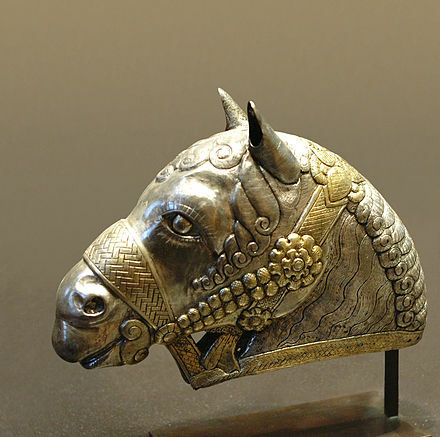 Sassanian elite cavalry AD 224-642. Osprey Publishing. p. 23. ↑ Vadim Mikhaĭlovich Masson, History of Civilizations of Central Asia, Vol.II, (UNESCO, 1996), 52. ↑ Kaveh Farrokh (2007). Shadows in the desert: ancient Persia at war. Osprey Publishing. p. 237. ↑ Daryaee, Touraj (2009). Sasanian Persia: The Rise and Fall of an Empire. New York NY: I.B. Tauris & Co Ltd. pp. 46–47. ↑ Daryaee 2008, p. 47. ↑ Michael Mitterauer; Gerald Chapple (July 15, 2010). 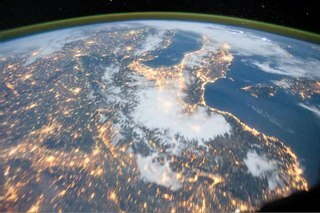 Why Europe? : The Medieval Origins of Its Special Path. University of Chicago Press. p. 106. ↑ Yarshater, Ehsan (1983). The Cambridge History of Iran Volume 3 (1): The Seleucid, Parthian and Sasanian Periods. Cambridge: Cambridge University Press. pp. Chapter 15. ↑ Shahbazi, A. Sh. "History of Iran: Sassanian Army" . Retrieved 10 December 2012. ↑ George Liska (1998). Expanding Realism: The Historical Dimension of World Politics. Rowman & Littlefield Pub Incorporated. p. 170. ISBN 978-0-8476-8680-3. ↑ "The Rise and Spread of Islam, The Arab Empire of the Umayyads -Weakness of the Adversary Empires". Occawlonline.pearsoned.com. Archived from the original on 15 July 2011. Retrieved 21 June 2013. 1 2 Richard N. Frye, The History of Ancient Iran, (C.H. Beck'sche Verlagbuchhandlung, 1984), 298. ↑ "BORZŪYA – Encyclopaedia Iranica". Iranicaonline.org. Retrieved 2013-12-16. 1 2 3 4 5 Daryaee 2008, pp. 39-40. ↑ Daryaee 2008, pp. 40-41. 1 2 Daryaee 2008, p. 41. 1 2 Daryaee 2008, p. 42. 1 2 3 Morony 2005, p. 92. ↑ These four are the three common Indo-European social tripartition common among ancient Iranian, Indian and Romans with one extra Iranian element (from Yashna xix/17). cf. Frye, p. 54. ↑ Kāẓim ʻAlamdārī. Why the Middle East Lagged Behind: The Case of Iran. University Press of America. p. 72. 1 2 3 Daryaee 2008, pp. 58-59. ↑ Lowe, Roy; Yasuhara, Yoshihito (2016). The Origins of Higher Learning: Knowledge networks and the early development of universities. Taylor & Francis. ISBN 9781317543275. ↑ Zhivkov, Boris (2015). Khazaria in the Ninth and Tenth Centuries. BRILL. p. 78. ISBN 9789004294486. ↑ Jona Lendering (2006-03-31). 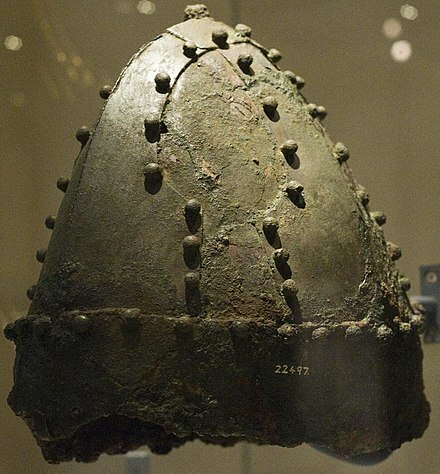 "Sasanian crowns". Livius.org. Retrieved 2013-06-30. ↑ Fergusson, History of Architecture, vol. i, 3rd edition, pp. 381−3. 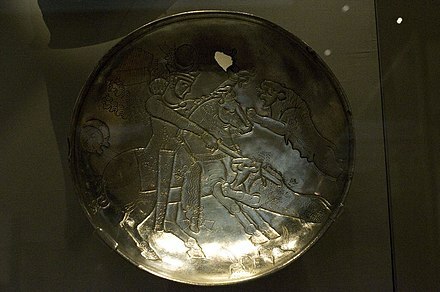 ↑ "Sassanids Used Commercial Labels: Iranian Archeologists". Payvand. 21 August 2009. Retrieved 2009-09-25. 1 2 Ehsan Yarshater. The Cambridge History of Iran: The Seleucid, Parthian and Sasanian Periods, (Cambridge University Press, 1983), pp. 879–880. 1 2 3 4 5 6 Zoroastrians: Their Religious Beliefs and Practices, 2nd edition. Mary Boyce, (Routledge; Dec 2000). ↑ Mark Boyce. Their Religious Beliefs and Practices The Library of Religious Beliefs and Practices. pp. 123–125. ↑ Alexander A. Vasiliev, History of the Byzantine Empire, 324–1453, Vol. I, (University of Wisconsin Press, 1980), 96-97. ↑ Front Cover Jamsheed Kairshasp Choksy (1997). Conflict and Cooperation: Zoroastrian Subalterns and Muslim Elites in Medieval Iranian Society. Columbia University Press. p. 5. ↑ Ahmad Hasan Dani; B. A. Litvinsky. History of Civilizations of Central Asia: The crossroads of civilizations, A.D. 250 to 750. UNESCO. p. 410. ↑ Jona Lendering. "Livius article on Sassanid Empire". Livius.org. Retrieved 2013-12-16. ↑ Daryaee 2008, pp. 116-117. 1 2 3 Daryaee 2008, p. 101. ↑ Christopher Brunner 1975, p. 754. ↑ Christopher Brunner 1975, p. 755. ↑ Christopher Brunner 1975, p. 763. 1 2 Christopher Brunner 1975, pp. 772-773. ↑ Daryaee 2008, p. 102. ↑ "Parsi population in India declines". Payvand's Iran News ... Payvand. September 7, 2004. Retrieved 3 September 2009. ↑ "SHAPUR II". Encyclopaedia Iranica. 2009-07-20. Retrieved 2013-12-16. ↑ "BYZANTINE-IRANIAN RELATIONS". Encyclopaedia Iranica. 1990-12-15. Retrieved 2013-12-16. ↑ "YAZDEGERD II". Encyclopaedia Iranica. 2012-10-19. Retrieved 2013-12-16. 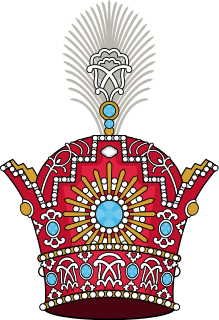 1 2 3 "SASANIAN DYNASTY". Encyclopaedia Iranica. 2005-07-20. Retrieved 2013-12-16. ↑ John W Barker, Justinian and the later Roman Empire, 118. ↑ John W Barker, Justinian and the later Roman Empire, (University of Wisconsin Press, 1966), 118. ↑ "All about Oscar". P2.britannica.com. 2001-09-11. Retrieved 2013-06-30. ↑ "Pirooz in China". Chinapage.com. 2000-08-11. Retrieved 2013-06-30. Meyer, Eduard (1911). "Persia § History" . In Chisholm, Hugh. Encyclopædia Britannica . 21 (11th ed.). Cambridge University Press. pp. 202–249. Wikimedia Commons has media related to Sasanian Empire .